Thirty species were described as new to science at the Botanics last year, each of them now recognised as a unique and beautiful part of our green planet. Giving species names is the first and most vital step in conservation, and part of our contribution to the global effort in securing a stable future for the worlds plants. This has recently been highlighted in the Kew report “State of the World’s Plants”, with 2034 species of plants having been described in 2015. Of this global total, 90 are Begonia, a genus of plants which is a focus of research at the Botanics; indeed 20 of those new Begonia were described here in Edinburgh. 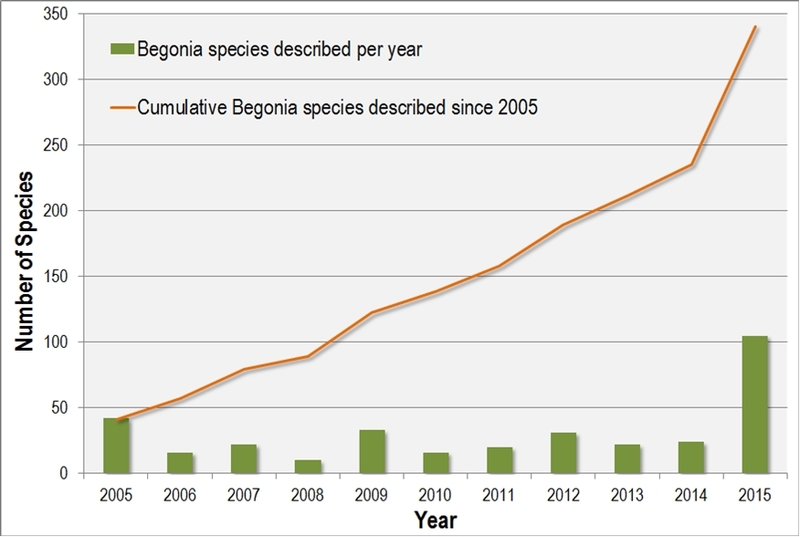 Our data shows that Begonia is now the worlds’ fastest-growing genus of flowering plants, with nearly 350 new species added over the last 10 years. 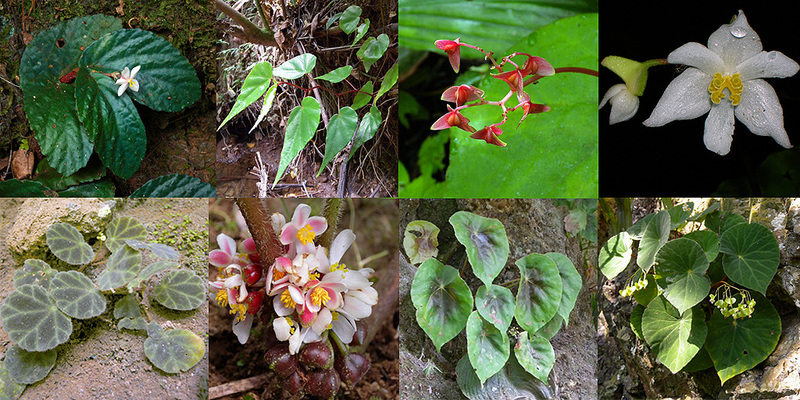 Recent expeditions to Indonesian and Peru led by the Botanics have unearthed dozens more, and it looks like the coming year could be another record-breaker for new begonias. More new species of Begonia have been described in the past 10 years than in any other plant genus.